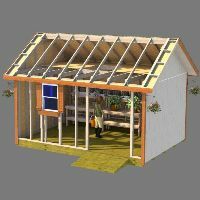 A speed square is really an invaluable tool when it comes to easily measuring angles for building your shed. As you can see from the picture above, the angle I need to have on the end of my 2x4 is 70°, so I set the angle on the outside of the speed square at 20°. 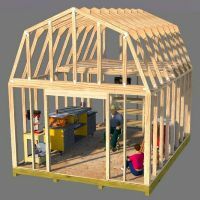 It is just a simple matter of placing the outer corner of your speed square against the wood you need to measure, then moving it until you get your desired angle on the inner edge of the board you are measuring. 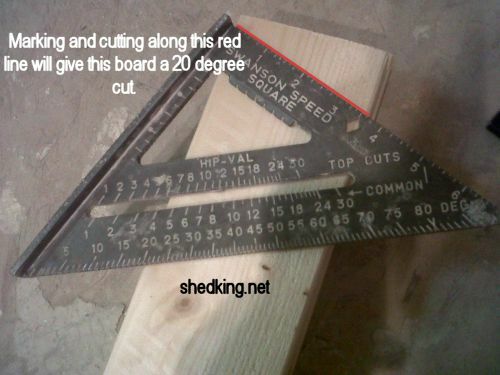 The top edge of your speed square is the line you mark and cut. 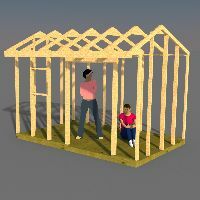 Take the following example truss from a gambrel shed plan I have. 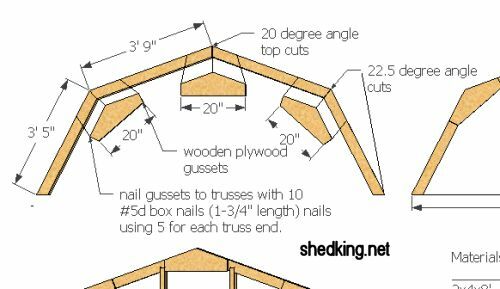 As you can see, the plans for this gambrel shed truss call for 20 degree cuts to be made on the top truss members. Knowing how to make these measurements truly is an easy accomplishment using a swanson speed square. 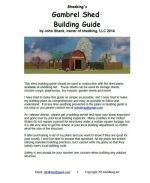 Back to the learning center.